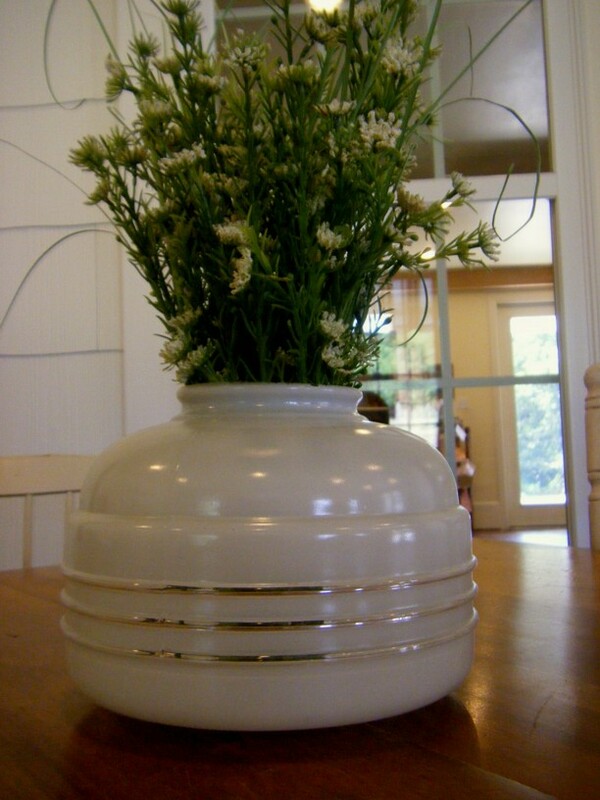 No deep thoughts or great insights to share today...just a pretty idea for a vase. Our local coffee house uses vintage light fixture globes to hold simple floral arrangements. They are just so much fun. I found out today that the owner found several of these globes in the building before it was restored, although the structure was not previously fitted for electricity. Interesting... (click here to read more about MT SYLVAN COFFEE HOUSE AND MERCANTILE). Anyhoo, I wanted to show you my version. I found this globe at a resale shop for just 49 cents. There is nothing better than a great find at a great price! I would love to hear about ways you repurpose things in your home. Maybe you know of new uses for old linens or other items no longer in service. I'd be especially interested to hear any creative ideas you have for storage...I am currently on a slightly manic mission to rid my environment of plastic storage containers. 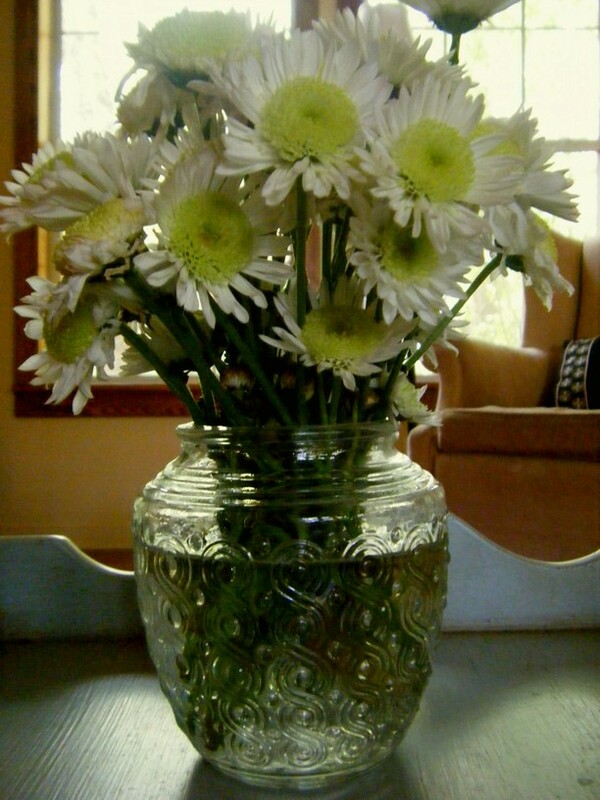 Right now my favorite substitutes are vintage glass jars and picnic baskets. What are the current trends at your house? You always find the best deals! Love the vase!